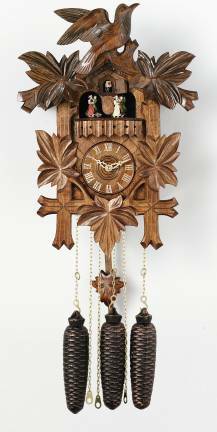 This eight day musical cuckoo clock will delight the entire family! The little couples waltz in and out under the little cuckoo. The clock measures 12." Great gift for the dancers in your life!